According to the ancient Brahmans, when a fire was extinguished it went into a state of latency. Rather than ceasing to exist, it became dormant and in that state -- unbound from any particular fuel -- it became diffused throughout the cosmos. When the Buddha used the image to explain nibbana to the Indian Brahmans of his day, he bypassed the question of whether an extinguished fire continues to exist or not, and focused instead on the impossibility of defining a fire that doesn't burn: thus his statement that the person who has gone totally "out" can't be described. 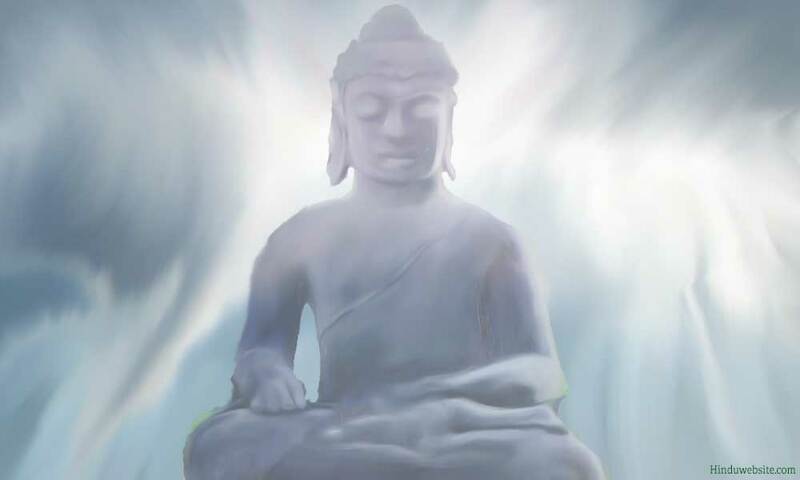 However, when teaching his own disciples, the Buddha used nibbana more as an image of freedom. Apparently, all Indians at the time saw burning fire as agitated, dependent, and trapped, both clinging and being stuck to its fuel as it burned. To ignite a fire, one had to "seize" it. When fire let go of its fuel, it was "freed," released from its agitation, dependence, and entrapment -- calm and unconfined. This is why Pali poetry repeatedly uses the image of extinguished fire as a metaphor for freedom. In fact, this metaphor is part of a pattern of fire imagery that involves two other related terms as well. Upadana, or clinging, also refers to the sustenance a fire takes from its fuel. Khandha means not only one of the five "heaps" (form, feeling, perception, thought processes, and consciousness) that define all conditioned experience, but also the trunk of a tree. Just as fire goes out when it stops clinging and taking sustenance from wood, so the mind is freed when it stops clinging to the khandhas. The Buddha insists that this level is indescribably, even in terms of existence or nonexistence, because words work only for things that have limits. All he really says about it -- apart from images and metaphors -- is that one can have foretastes of the experience in this lifetime, and that it's the ultimate happiness, something truly worth knowing. Source:Copyright © 1997 Thanissaro Bhikkhu. The author gives permission to re-format and redistribute his work for use on computers and computer networks, provided that you charge no fees for its distribution or use. Otherwise, all rights reserved.